I arrived to have 4 pre-booked tyres fitted, the lads went to work straight away and completed the job very quickly and very professionally. The staff where very helpful explaining all I needed to know about the tracking and balancing of my car wheels, they even showed me the tyre and explained that it should be renewed due to the it having some minor splits due to its age. I visited the Marton Road Branch around 2:30pm on Wednesday 02 May. 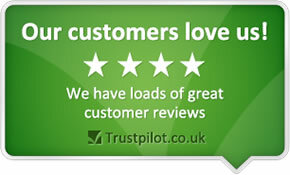 I was very pleased to receive first rate customer service from Daniel Lee Raw, who was very helpful. Daniel processed my order and fitted my new tyre very efficiently. It's not my usual approach to complete surveys but here I felt it was justified on this occasion. Better to recognise good work than to complain. Staff were exceptional. Very presentational & knowledgeable. Feel that they are genuine and not out to make a profit. Good advice, efficient service, reasonable prices. Helpful, friendly staff Trustworthy company and staff Good location, accessible. Absolute Top service! Always a great happy environment and friendly atmosphere. Great manners and singing too Connor ;) Brilliant! The service was prompt and cost effective. Friendly service. Spoke in a dialogue I understood no over the top technical jargon. Recommended products and explained why. Cheers Connor. Very very good customer service! First of all I rang Kwick Fit in relation to a issue I had with my Mothers car. Long story short he was rude and very abrupt, with my mother being 89 I didn't want her to goto that garage as she would be going on her own. So I rang this branch and was spoken to by Connor, I explained the issue to him and he gave me a range of products and prices that would be suitable for my mothers car. I knew this was the garage to goto. My mother came and I rang Connor before hand (she suffers with mild Alzheimer's) just to let him know about her condition incase she felt lost or didn't arrive with me being at work. I then received a phone call about 40 minutes later which I wasn't expecting just to say she had left and the tyre she had a issue with was now sorted. I couldn't trust this man enough and his professionalism! Great asset to the company and I couldn't thank him enough for his service. VERY GOOD PRICES AND EXCELLENT CUSTOMER SERVICE !!! Easy to buy online and you can pick the day and time for fittingand there is a very very short wait time.staff were curtious and friendly. Ken Sefton is a Legend ! I went to the Middlesbrough branch about 12:10 on Tuesday 12 January. It was a cold, miserable wet day. I was immediately approached by a member of staff who asked me if they could be of any help. I explained that one of my tyres had a puncture and would they be able to repair it. The tyre was inspected and I was told that it could be repaired and if I left the tyre it would be ready in about an hour.At 14:35 I returned and was treated with the utmost respect by another member of staff. He was extremely polite and helpful. I have used National on numerous occasions, from purchasing tyres,bulbs etc to having an MOT carried out. Excellent friendly service I called on 'spec' to the Middlesbrough branch and Ken and Lee sourced my tyres from a different local branch - all sorted within one hour. Cheerful, fast, efficient service. Reception area could be better. Very helpful, none pushy service, didn't make feel like I knew nothing just because I'm a lady, unlike other garages! Very efficient service provided. With friendly and informative staff.